On October 16, 2018, the Falmouth Board of Selectmen held a public Dedication Ceremony for the town’s recently completed water filtration facility on Gifford Street. Attendees included Phil MacClellan, Paul Howard, Karen Gracey, and Ryan Neyland. 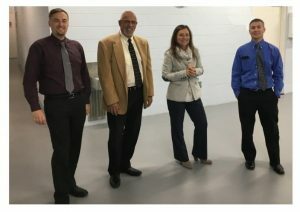 Several Tata & Howard company representatives attended the event, including Project Technical Reviewer Paul B. Howard, P.E., Project Principal Patrick O’Neale, P.E., Project Manager Ryan Neyland, P.E., Project Engineer Phil MacClellan, P.E., and Company Co-President Karen Gracey, P.E. 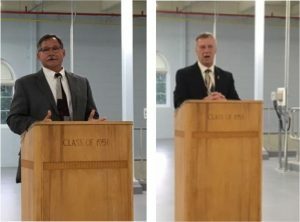 T&H Project Principal Patrick O’Neale, P.E., joined Falmouth Public Works Director Raymond Jack in addressing attendees at the Dedication Ceremony. Project Principal Patrick O’Neale, P.E. 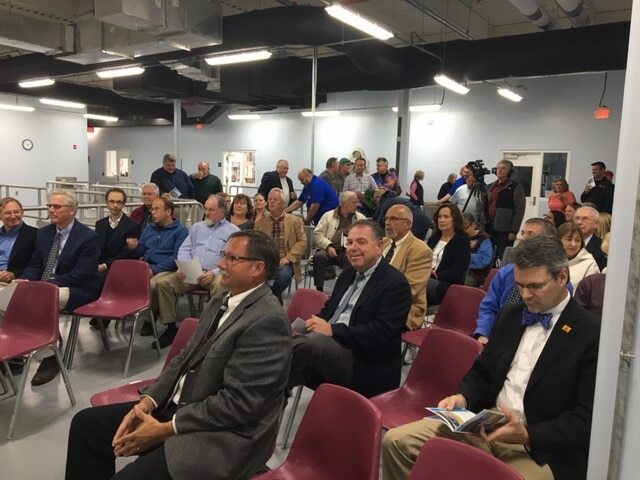 joined other key project personnel including Director of Public Works Raymond Jack and Water Superintendent Stephen Rafferty, in summarizing the history of the water supply and key aspects of the facility, as well as Tata & Howard’s role in the pilot study, design, and construction administration of the facility. The facility utilizes coagulation, mixing, flocculation, dissolved air flotation (DAF), ozone, dual-media filtration, and chemical feed systems to provide the community with water that meets current EPA and MassDEP regulations. Local residents toured the award-winning facility. Tata & Howard was the lead engineering firm for the design and construction administration of the new facility; Methuen Construction was the general contractor. 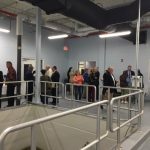 The new Long Pond Water Filtration Facility is a state-of-the-art water purification facility that received widespread community support. Due to the advanced nature of the facility design processes, this facility became the first Class IV fully automated facility to be permitted in New England. Methuen Construction received several awards for the construction of the new 8.4-million gallon per day (mgd) facility. The firm was most recently awarded the prestigious 2018 National Excellence in Construction Eagle Award, the highest level awarded by the Associated Builders and Contractors (ABC). In 2017, Methuen won two Engineering News-Record (ENR) 2017 Best Projects New England awards in Water / Environmental and Safety categories for construction of the facility. 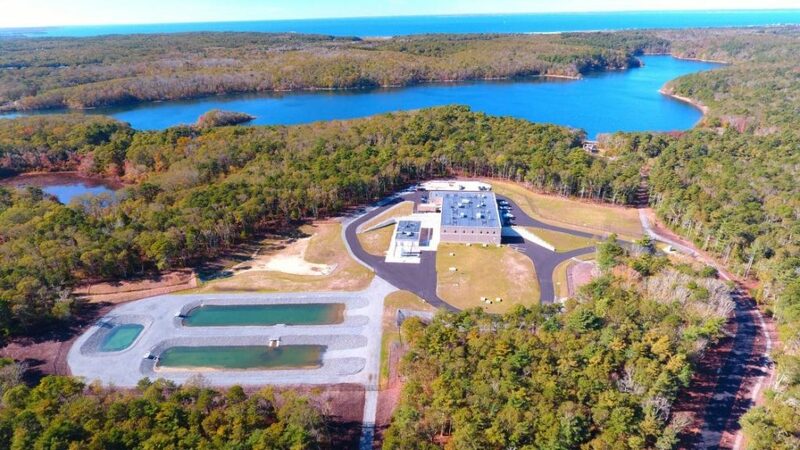 Aerial view of the new Long Pond Water Filtration Facility in Falmouth, MA.